At any given moment, 8 out of 10 Indians active on social media are offended. The remaining two will most likely take an offence at those 8 getting offended. 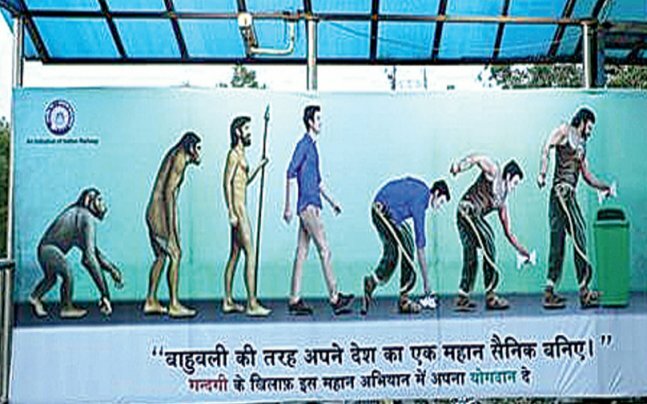 This morning, Indians woke up to an ad put up on Delhi railway station, which had pictorial depiction of evolution from ape to human where the most evolved human is shown to be throwing waste in the dustbin. 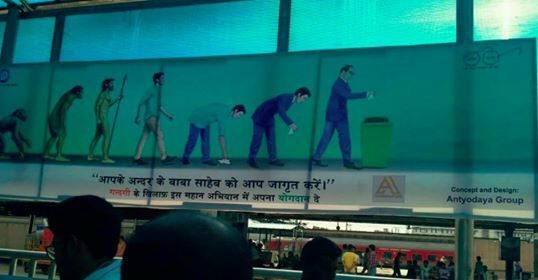 This was an ad of Swachha Bharat campaign conceptualised and designed by one Antyodaya Group. As one can see in the poster, the most evolved human being was shown as Dr. BR Ambedkar. This apparently was insulting to Babasaheb, according to Congress President Sonia Gandhi’s son in law Robert Vadra’s brother in law Tehseen Poonawalla. Poonawalla, who was earlier caught lying about lynching and sending obscene tweets to Smriti Irani, virtually “threatened” the Railway Minister Suresh Prabhu and Prime Minister Narendra Modi that if the Indian Railways didn’t bring this poster down, “volunteers” will bring these posters down themselves. We tried digging it a bit deeper and discovered it wasn’t Poonawalla who had discovered the “offensive” poster. It was first circulated by one Devashish Jarariya, Bahujan Samaj Party’s media representative on WhatsApp, screenshot of which he posted on Twitter. This BJP govt has gone to a new low level And this cannot be tolerated. Not wanting to be left out, Bahujan Samaj Party official handle soon tweeted the same image taking ownership of all things Dr. Ambedkar. Soon, Nikhil Wagle, a journalist who recently lost his job due to bad TRP of his show, also took an offence to the said poster and demanded that the government took it down immediately. All of them condemning the government for using Dr. Ambedkar’s image for picking up trash. The poster is a part of the series of a campaign where the most evolved human form is a hero common man could relate to, who endorses picking up trash and keeping the surrounding clean. Earlier, the campaign included Mahatma Gandhi and even the fictional hero “Bahubali” picking up trash. 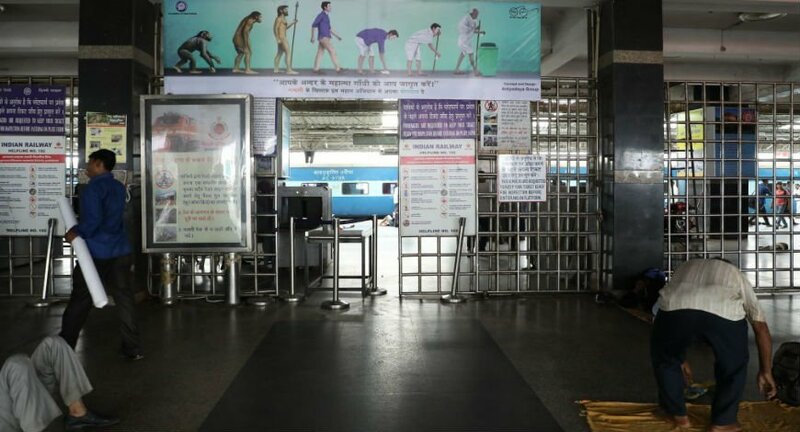 Mahatma Gandhi in similar poster at a railway station. Bahubali picking up trash as part of the campaign. No one found it offensive when Mahatma Gandhi was picking up the trash. This just goes out to show that the sensitivity is dependent on vote bank. If only manufacturing offence could contribute to the GDP. Too bad the poor researcher didn’t factor how the IQ and propaganda of some Indians work.